“Bad” is a shaky platform to be placed on. It is not a useful piece of feedback, or a nugget of real-talk from a trusted adult. It is a stagnant, heavy label; a “you are” statement, leaving no nuance for “you are at this moment” or “you are sometimes” or “when you do this, you are.” “Bad” leaves little context for hope. Before you call my supervisor to tell her that I have not been doing my job, let me explain what Outward Bound does. 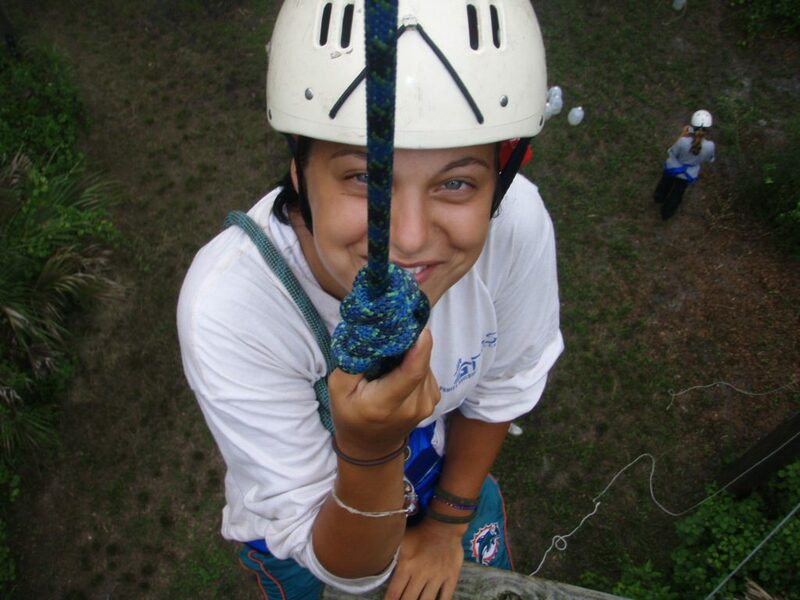 Under the umbrella of Outward Bound exists many different types of courses. 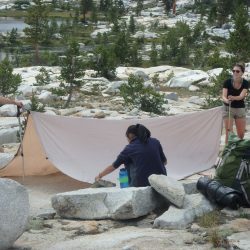 Intercept courses are tailored to at-risk youth, while others, such as classic expeditions for high school and Pathfinder expeditions, are tailored to individuals seeking out challenge and adventure. All Outward Bound courses use the same course elements and core values with the mission of “changing lives through challenge and discovery.” On an Outward Bound Intercept course, we also shine light on behaviors that are not serving our students well, and support the growth of positive coping, emotional management and communication skills. Nobody can be fixed. And to fix a student sounds like an impossible and unrewarding task. So, we do not fix. Instead, we open eyes. We challenge, push and support. We provide tools and treat our students with unconditional positive regard. And these actions, no matter the course, often do change a person. Not because that person is “bad” and needs to be changed, but because that person is embarking on a journey that very few people ever get to experience. 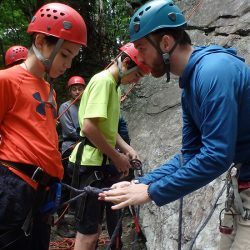 All Outward Bound courses start with a baseline understanding of student behavior based on William Glasser’s Choice Theory. According to Choice Theory, “All people are trying to meet their needs at all times. This is not good or bad. It just is.” My students’ choices are just like my choices, my friend’s choices, my supervisor’s choices, and the choices of the woman I see standing in line for Chipotle. All of us are trying to meet our most basic needs for survival, fun, love and belonging, power and freedom in different ways. So when a student shows up to a course struggling with behaviors of running away from home and/or excessive anger, for example, our course goal always ties back to what they need and how they can get those needs met in a more positive way. A recent student of mine participated in an activity where we delved deeper into the root causes behind our actions. After considering the recent events in her life: her father leaving, her mother homeschooling her and her brother facing a possible prison sentence, we discussed her own behaviors. For this student, she tied her behavior to those challenges, saying she felt a deficiency of freedom and fun in her life, which she fulfilled in unhealthy ways. During her course, we worked on giving her practice in meeting those needs in different ways, such as taking on more responsibilities so she could have more freedoms, and building fun activities into her days before she needed to get work done. The need for survival, fun, freedom, power, love and belonging will never go away and is a natural and healthy part of life. It is how our students work with and understand their own needs that influences their behaviors. On day 11 of my most recent Outward Bound course, my crew of 10 young women were sitting in our canoes on the side of Ocklawaha River, preparing a tuna fish sandwich lunch when one student turned to me and asked “Why are you trying to change us? You know it’s not going to work, right?” Although this question comes up on many courses, it still hits me as if it were the first time. The last thing that I, as an Instructor, want to do is to change a student. At least, not in the way that it is implied. But in spite of my intentions as an Instructor, the undercurrent of being placed on an at-risk course remains the same: you are bad, and you need to be fixed. Whether it was said once, twice or everyday to a student, whether it was said by a parent, a teacher, police-officer or a friend, I can still see these words ring in my students’ ears every time they are faced with a new challenge. So when my student asked me this question I felt its insurmountable weight on my shoulders. “We are not trying to change you,” I replied. But this response does not answer the question. I will never have the correct answer to my students’ question: “Why are you trying to change us?” Even if I answer honestly, “I want you to feel strong. I want you to know yourself. I want you to love yourself. I want you to have all the power you need to take charge of your life,” it will fall short of explaining why an Outward Bound expedition is so hard. To some extent, however, the question misses the point, because I do not have much power over how my students change. I may try to plant the right seeds, but whatever change occurs depends on the student themselves and may not become completely evident until weeks, months or years after the expedition has come to a close. As educators, we have explicit goals built into our job, to teach lessons, give feedback and reach learning targets. We also have implicit goals that are not laid out on a sheet of paper, but are based on the needs of our students within society. 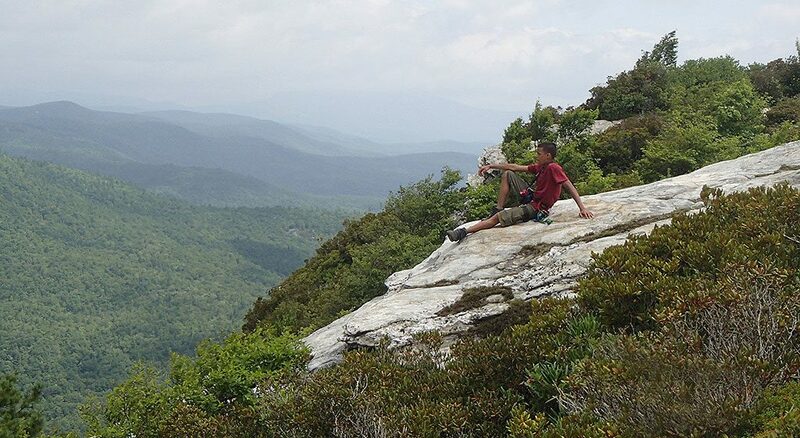 Our at-risk students do not need to be fixed, and it is not fair to call any student “bad.” What Outward Bound provides is not a solution to a problem, but high quality social and emotional learning and personal guidance. By providing this guidance, we are not fixing our students, but opening their eyes to who they are, what they need and who they can become. 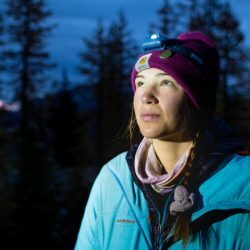 Rebecca Fenn is an outdoor educator, originally from California, who instructs for NYC Outward Bound Schools and North Carolina Outward Bound School. 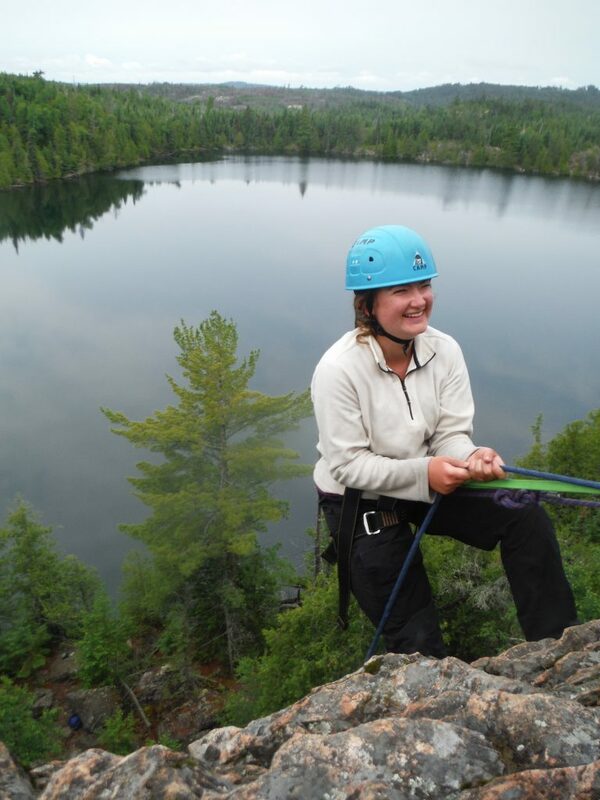 After graduating from University of Chicago with a major in Human Development, Rebecca worked in college admissions and then began her journey toward outdoor education. She became the Life After Eagle Rock Fellow at Eagle Rock School and Professional Development Center, a wilderness-based boarding school in Estes Park, Colorado. There she taught at-risk students “Math for Life” and served as both a college counselor and as a vocational counselor to prepare them for life after Eagle Rock. 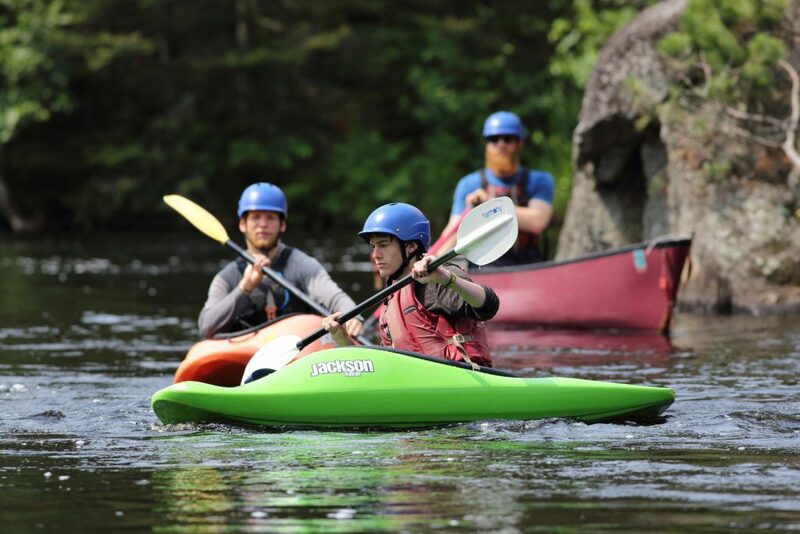 Upon receiving a Master’s Degree in Education Policy from Harvard, she decided to delve deeper into the Expeditionary Learning model by taking on the challenge of becoming a Field Instructor for Outward Bound. Rebecca is a cartoonist, artist and writer, and loves the challenges and rewards of working with youth in the outdoors. She is always interested in learning more about educational systems, cultures and practices in the United States.